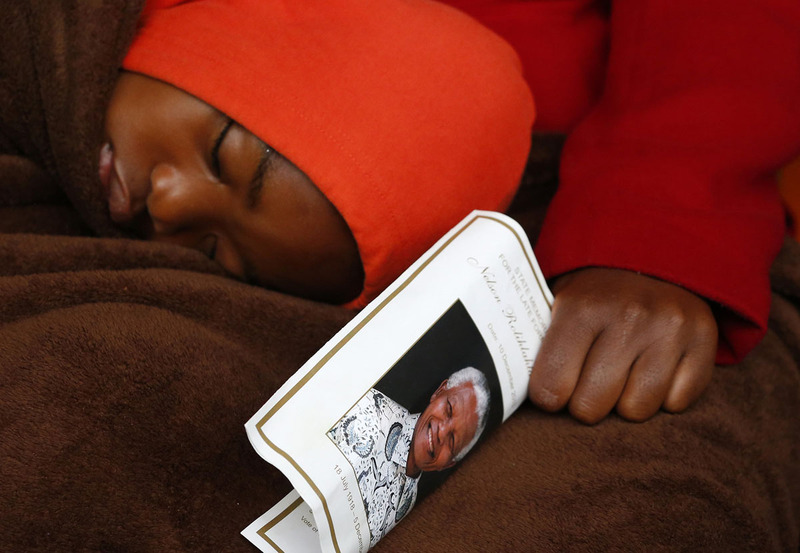 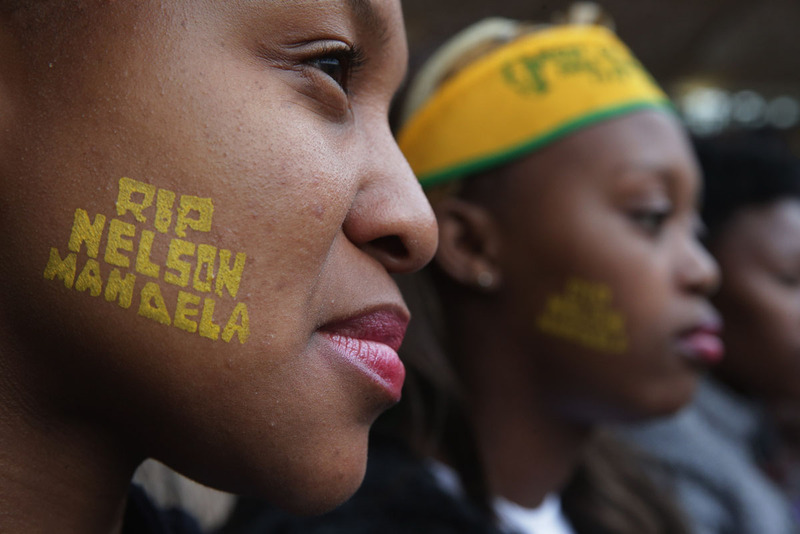 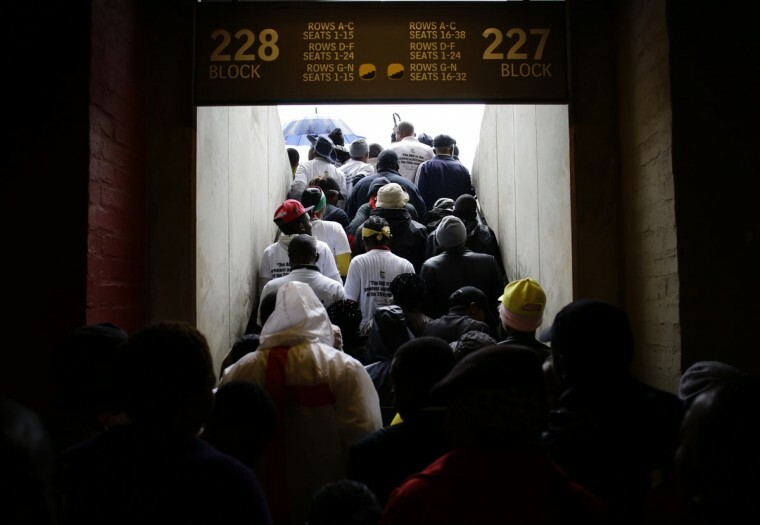 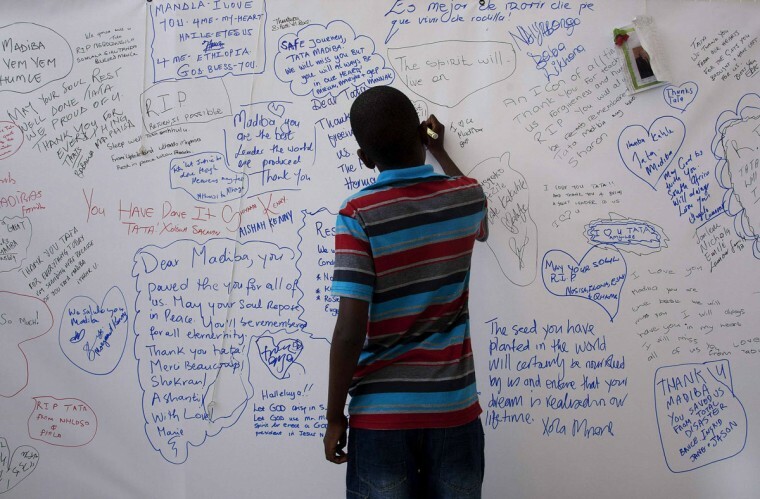 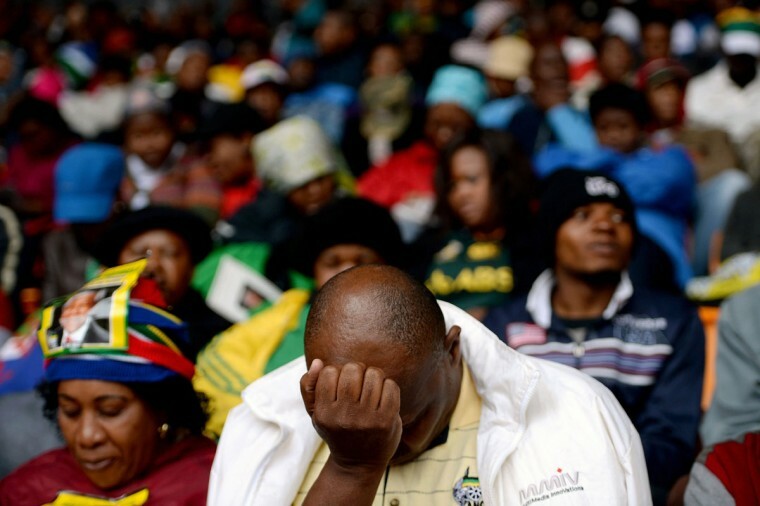 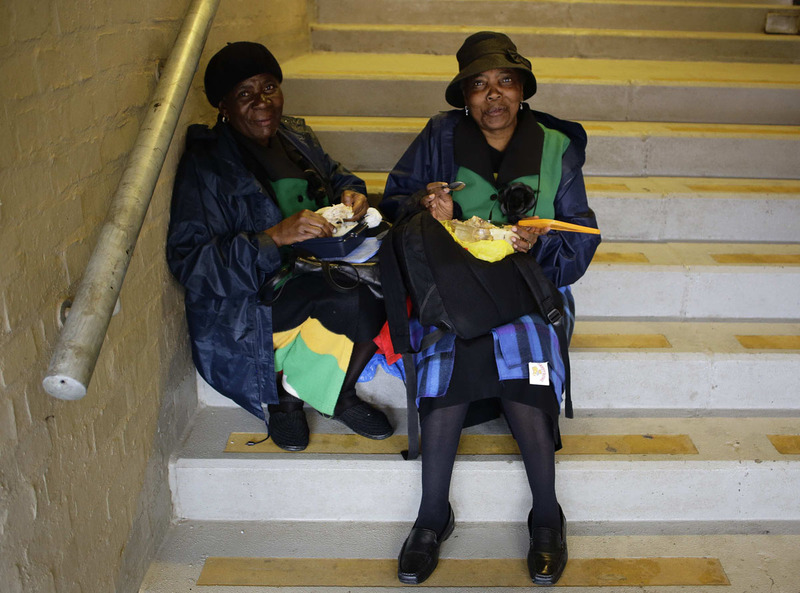 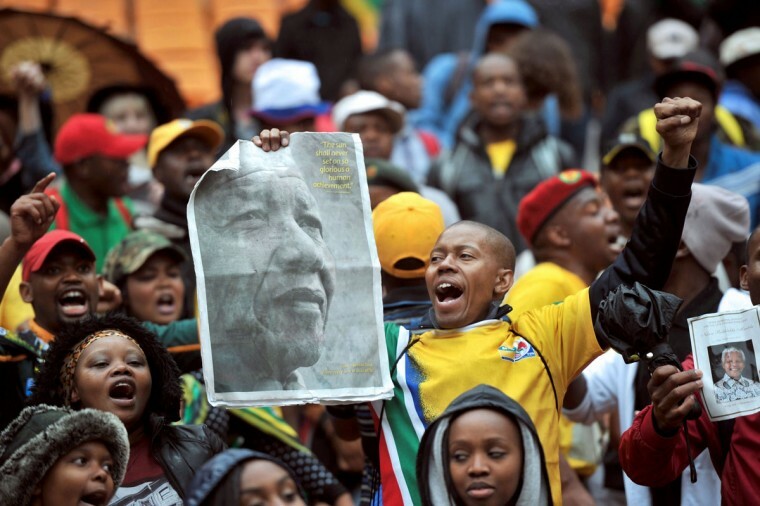 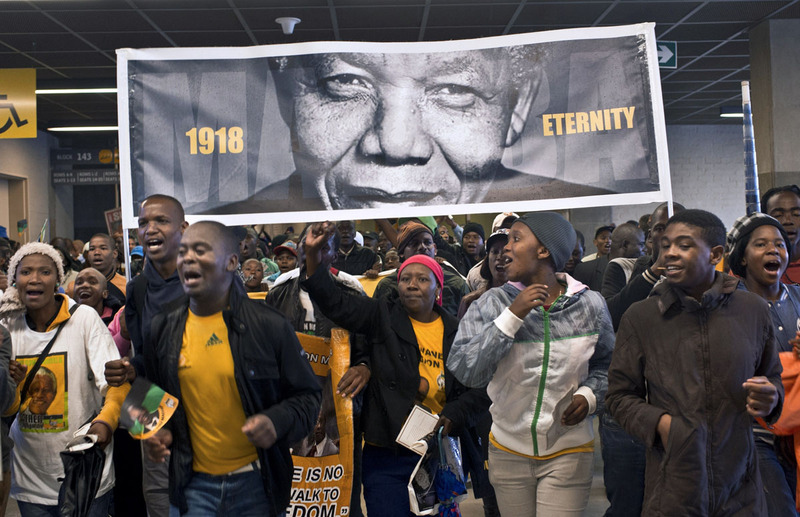 Tens of thousands of mourners gathered at Johannesburg’s Soccer City Stadium to pay their respects at a memorial service for fallen South African leader Nelson Mandela. 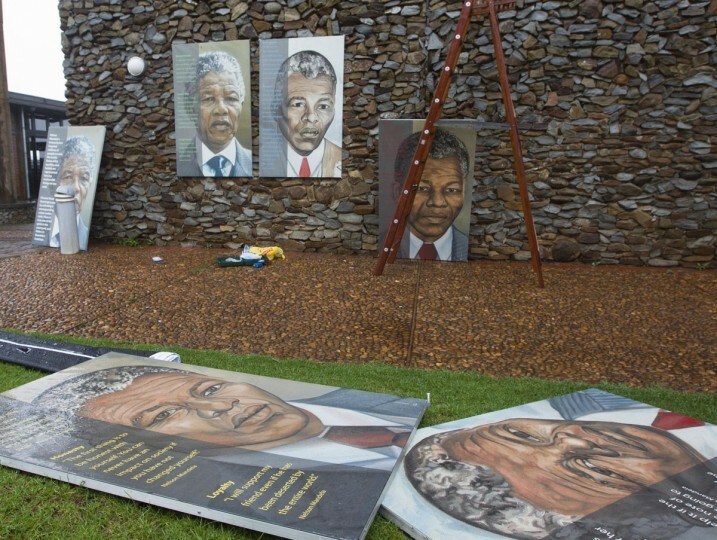 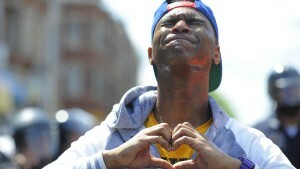 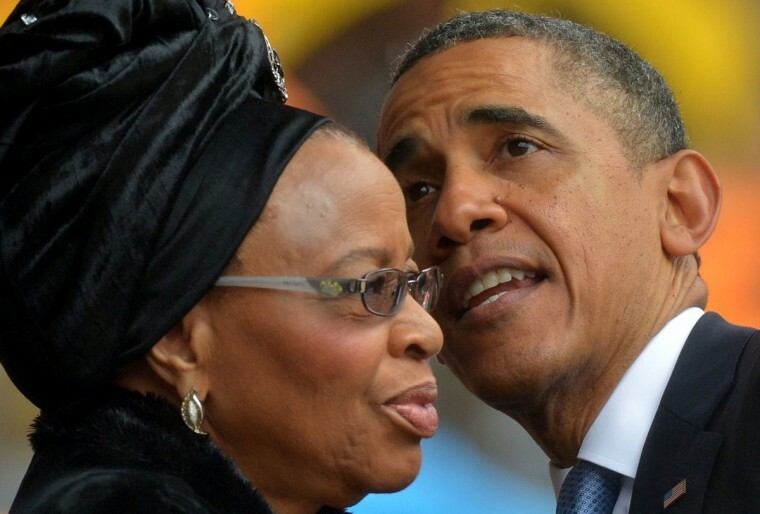 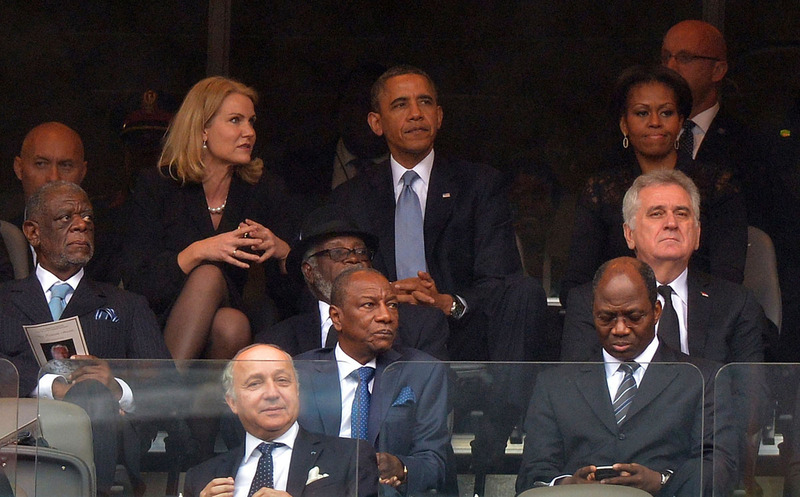 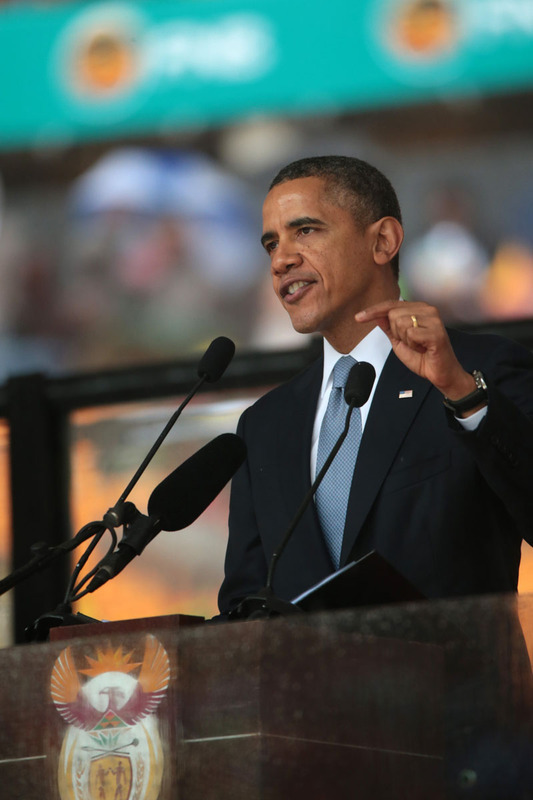 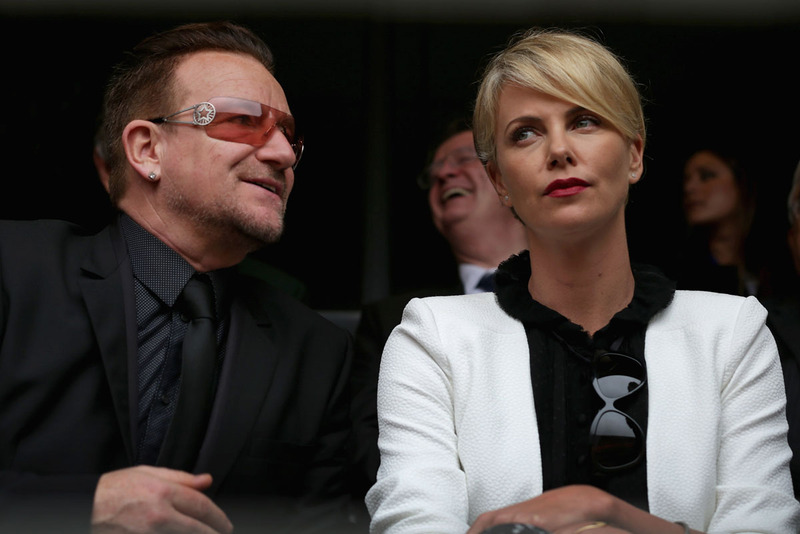 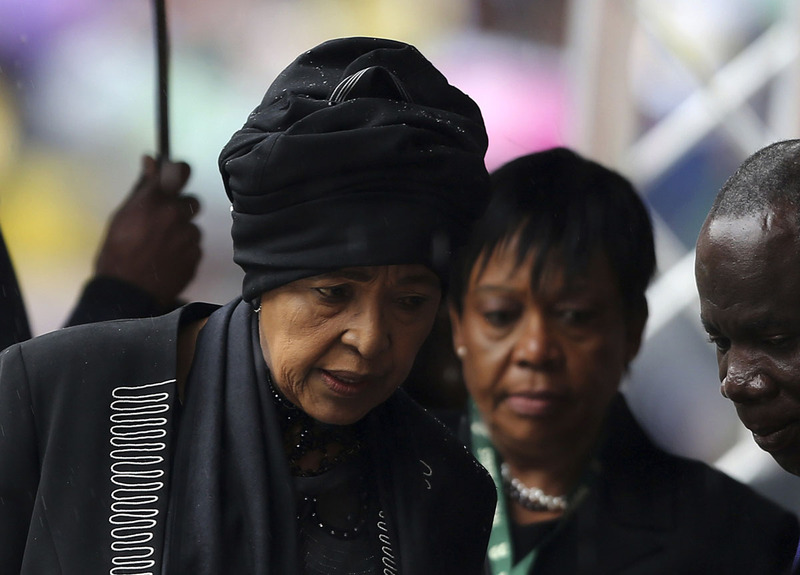 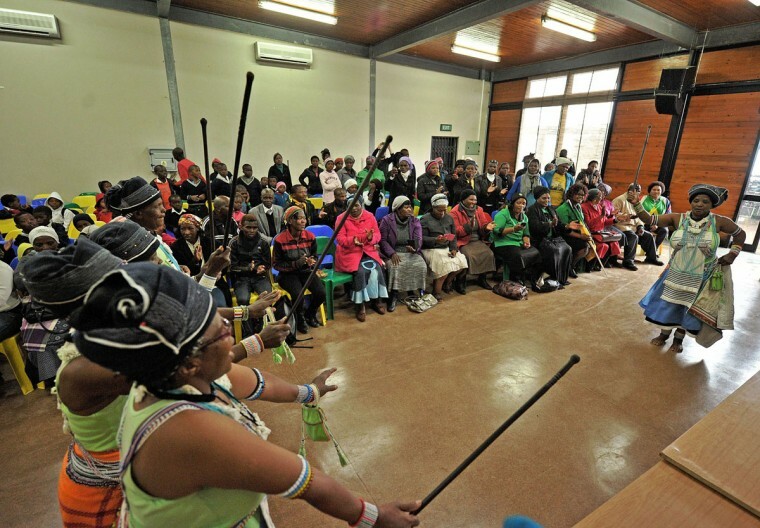 They were joined by about 100 World leaders, including U.S. President Barack Obama, who spoke of Mandela’s legacy. JOHANNESBURG (Reuters) – U.S. President Barack Obama shook hands with Cuba’s Raul Castro at a memorial for Nelson Mandela on Tuesday, a rare gesture between the leaders of the ideologically opposed nations that reflected the anti-apartheid hero’s spirit of reconciliation. 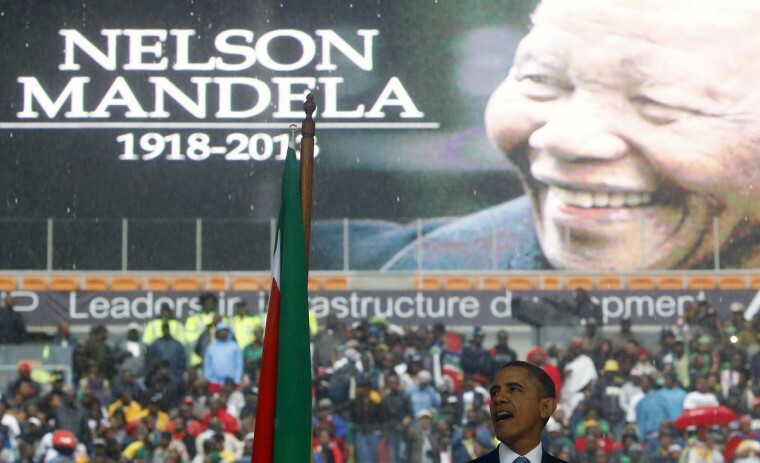 Castro smiled as Obama moved to shake his hand on the way to the podium before making a rousing speech in memory of the former South African president, one of the world’s great peacemakers, who died on Thursday aged 95. 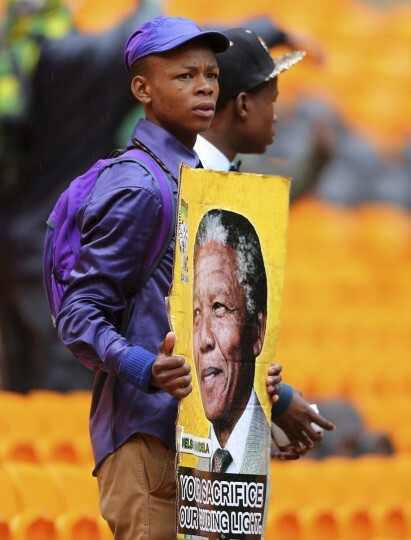 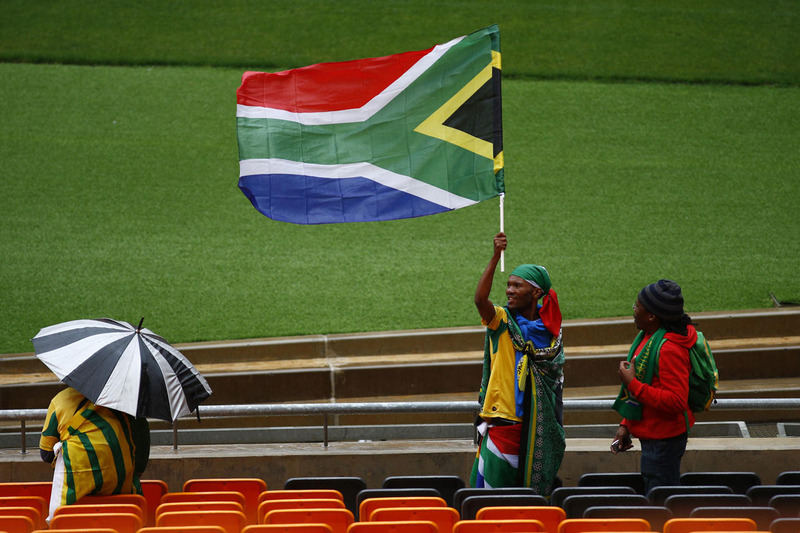 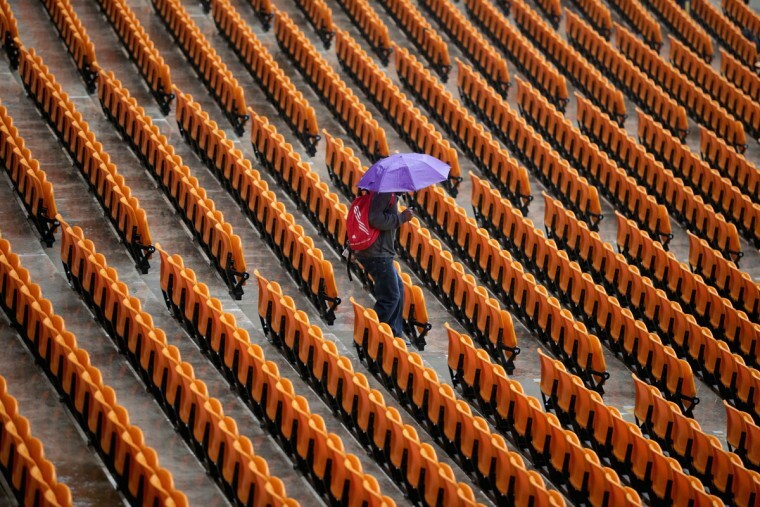 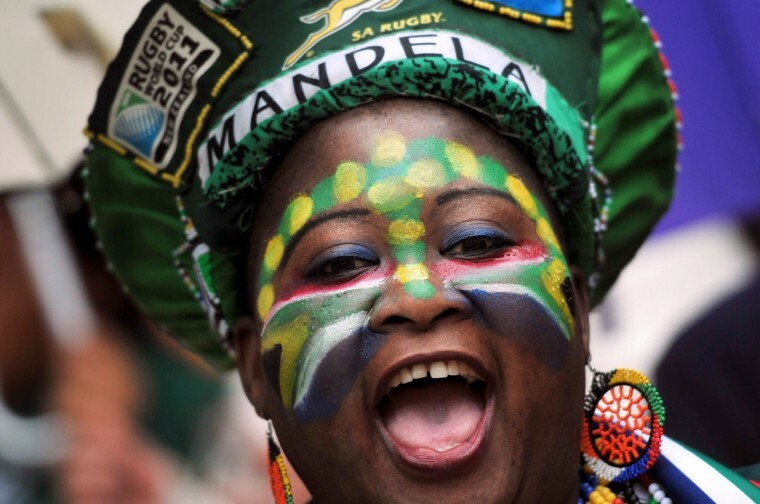 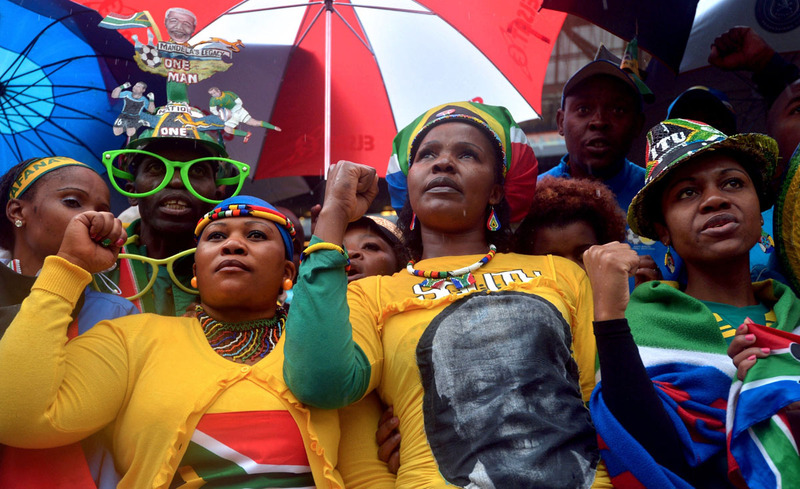 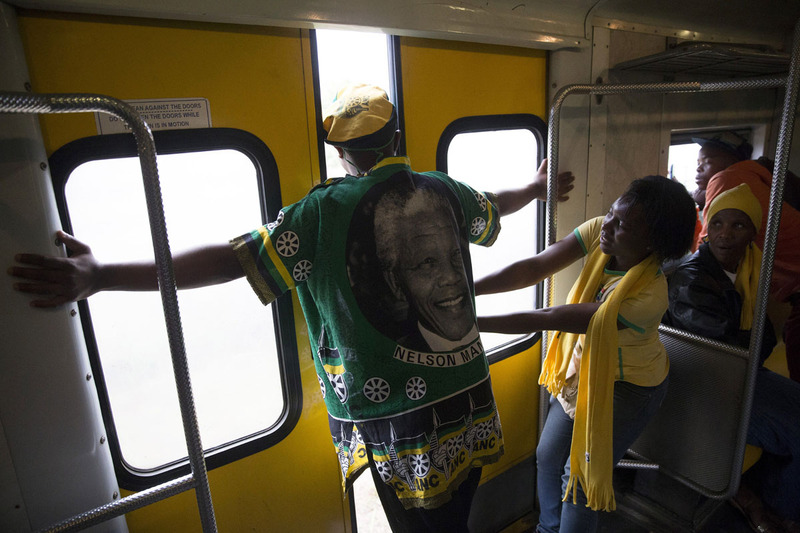 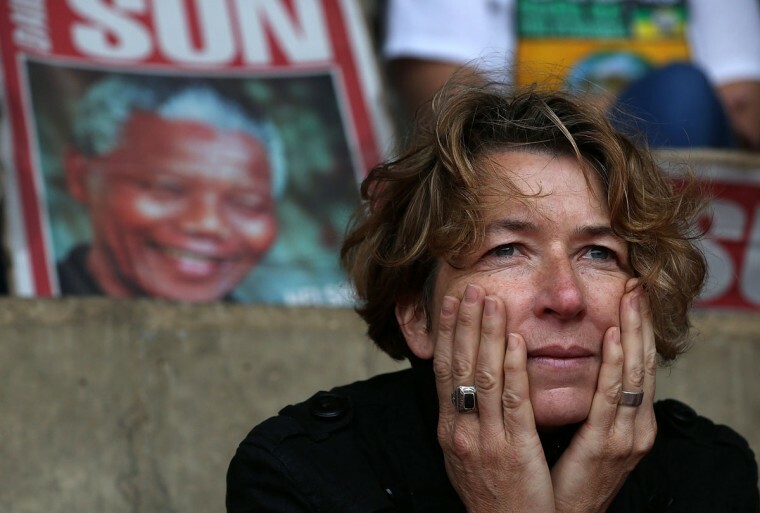 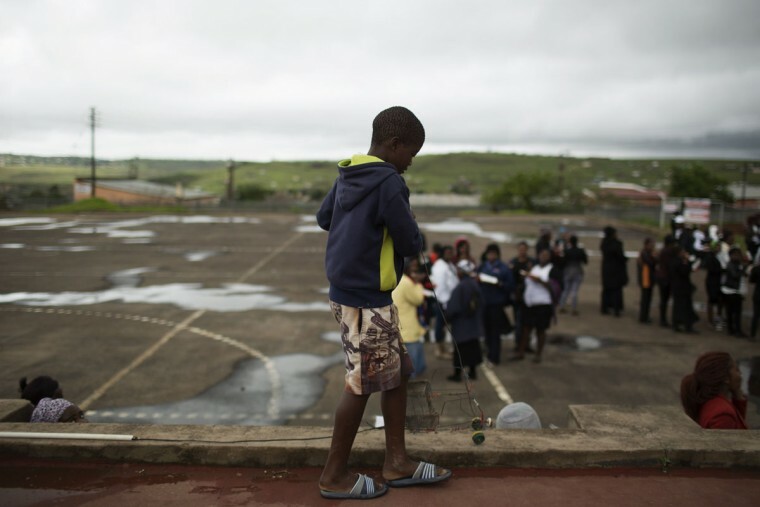 Torrential rain failed to dampen the spirits of tens of thousands of singing and dancing mourners at Johannesburg’s Soccer City, who gathered to say farewell to Mandela alongside 90-odd world dignitaries. 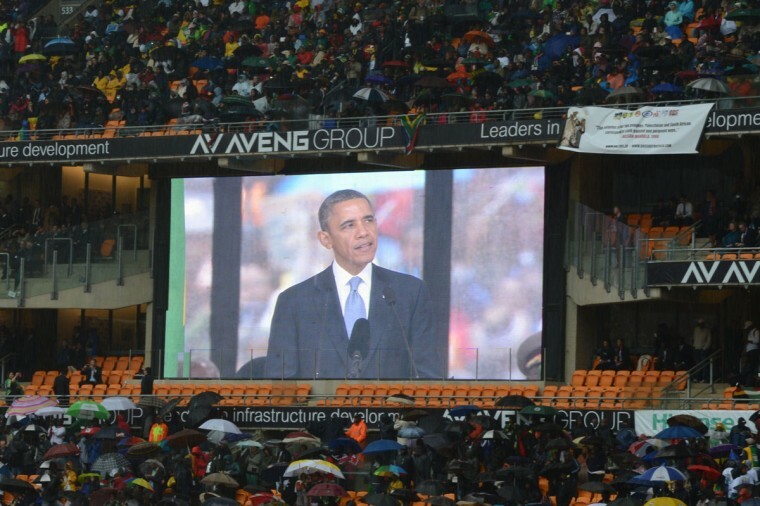 The crowd emitted a huge roar as Obama took his seat, in marked contrast to the boos that greeted South African President Jacob Zuma, a scandal-plagued leader whose weaknesses have been cast into sharp relief by Mandela’s death.